Get inspired for Spring and Easter alike with these awesome decorating ideas...from the inside mantel to the patio outside there is something here for your celebration! 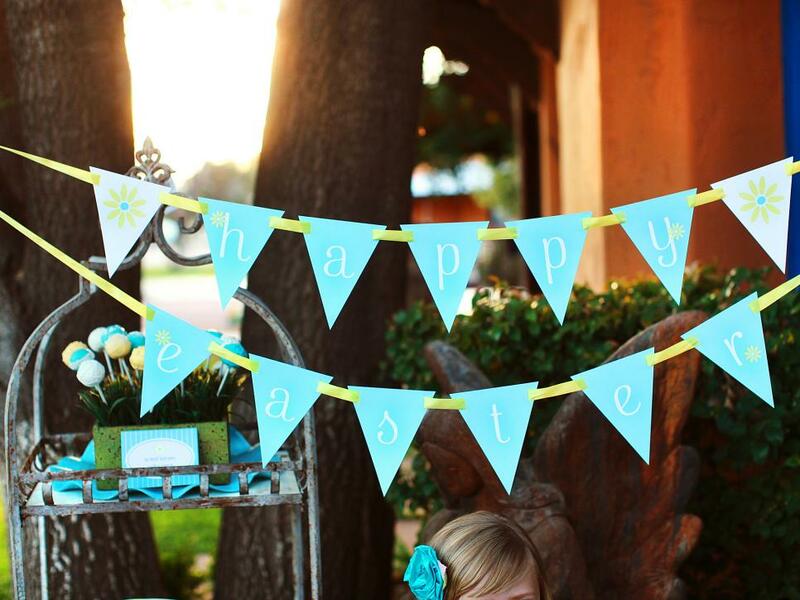 Easter Banner ~ Welcome family and friends to your Easter celebration with this colorful banner. Just print out letters of your choosing onto card stock, cut out the pennants, then glue them onto ribbon. Freshen Up Your Front Door ~ Brighten up your home's entry with a colorful Easter wreath. Use hot glue to attach layers of faux spring branches to a pussywillow wreath form. 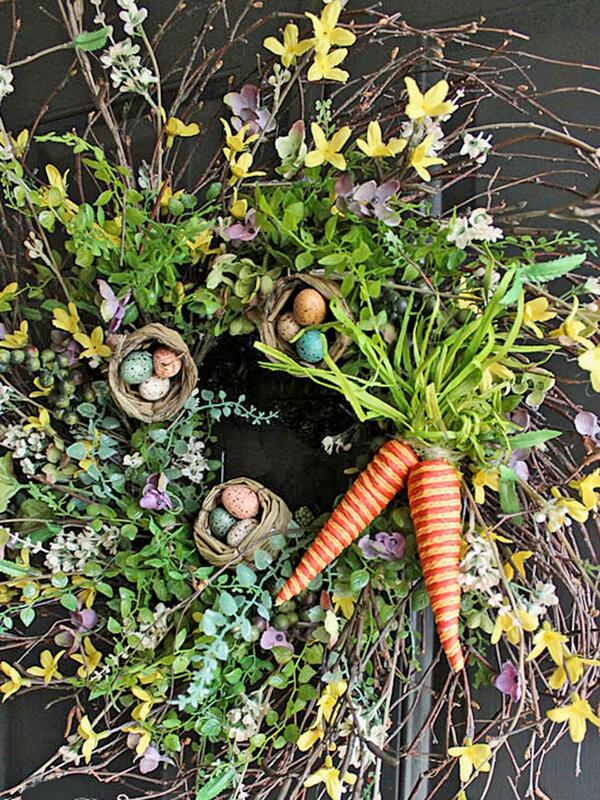 Twine-and-raffia carrots and mini egg-filled nests (both from the craft store) add the perfect finishing touch. 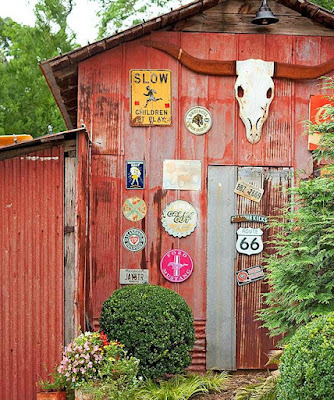 Old is New Again ~ Take advantage of warming spring days by moving your Easter get-together outdoors. For a quick-and-easy centerpiece, pair weathered watering cans, filled with tulips, with vintage chick lawn ornaments. Make-Over the Mantel ~ Your fireplace mantel is a great place to showcase seasonal displays — especially if it's the first area guests see when entering your home. 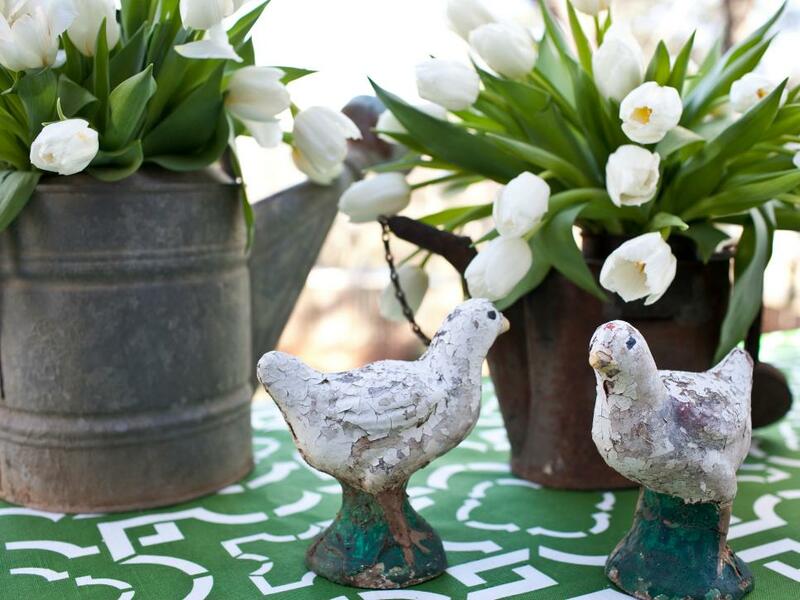 To spring-ify a mantel, use creamware and fill pitchers with fresh-cut greenery. 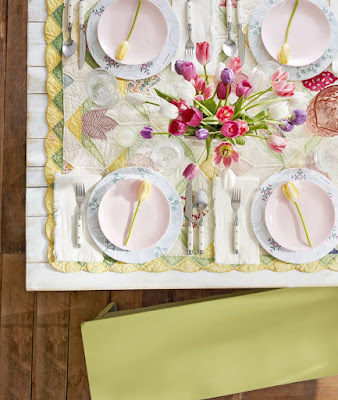 Pale green dyed eggs, wicker chargers and small faux bird's nests add an organic touch. Get Your Glitter On ~ Shimmering eggs in a bed of moss make a lovely (and easy!) 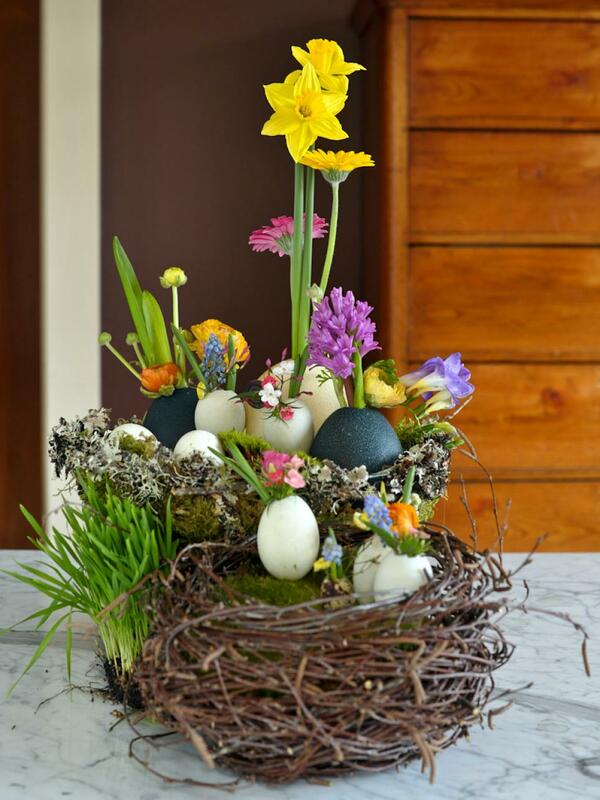 Easter centerpiece. 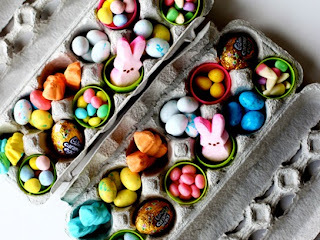 To create them, paint wooden, cardboard or blown-out eggs in soft pastel shades. Once the paint has dried, apply glue dots in a random pattern then sprinkle glitter over the eggs for a sparkling polka dot effect. 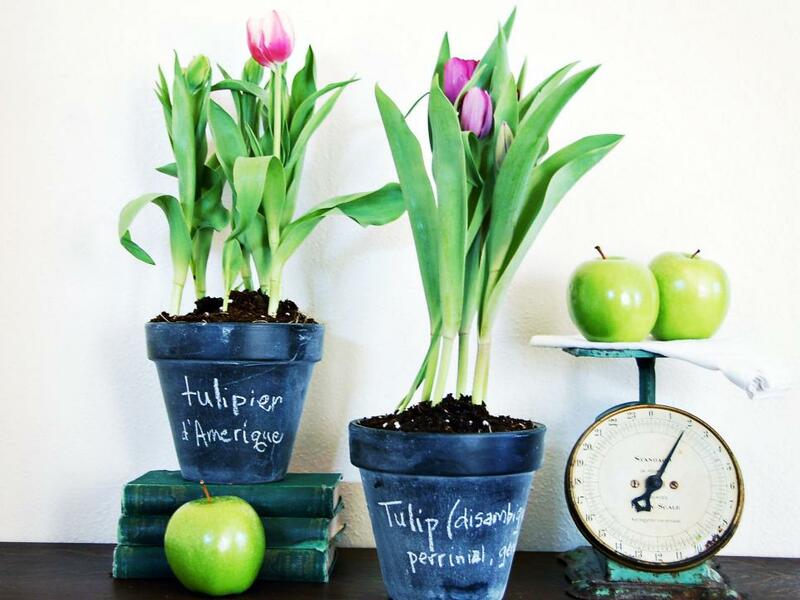 Force Bulbs in Chalkboard Pots ~ Add a cheery pop of spring color to your foyer, living room, kitchen — or anywhere. Chalkboard spray paint and inexpensive terra cotta pots are all you need. Once the bulbs have finished blooming indoors, plant them in your garden so you can enjoy their flowers for many springs to come. Embellish Your Old Vases ~ Look in your own home for inspiration when decorating for Easter. 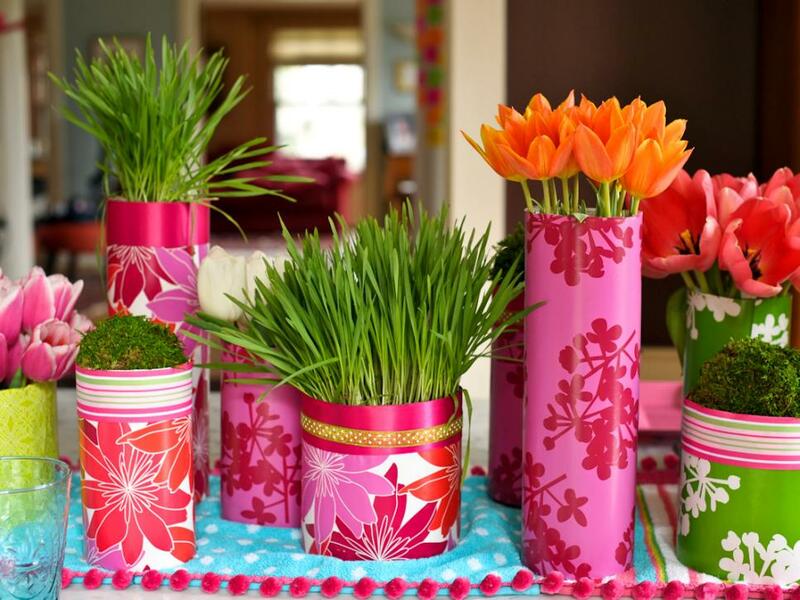 Take ordinary vases and jars, and wrap them with spring-inspired wrapping paper. 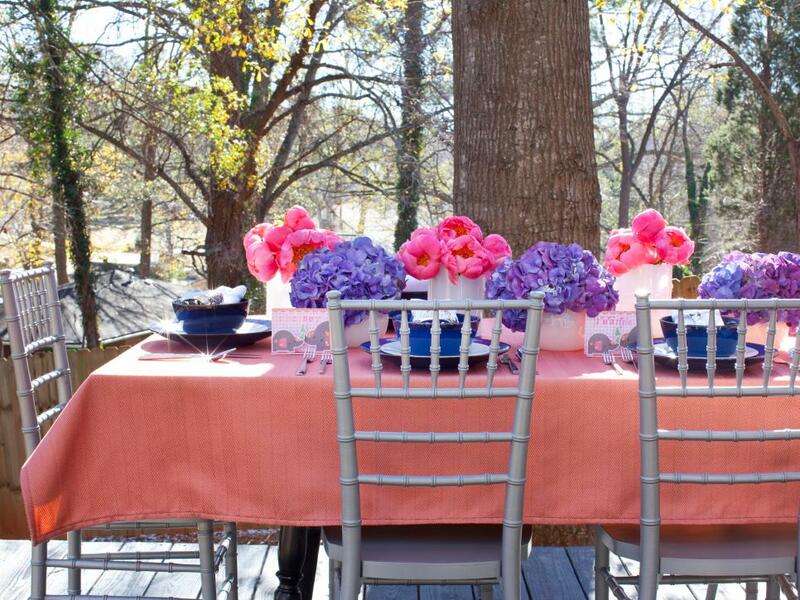 Mix and match patterns, and fill vases with bold flowers to create an eye-catching centerpiece. 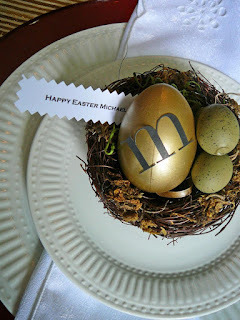 Monogrammed Egg Place Cards ~ Spray paint plastic eggs a mellow antique gold before applying lettered stickers found in the scrapbooking aisle. 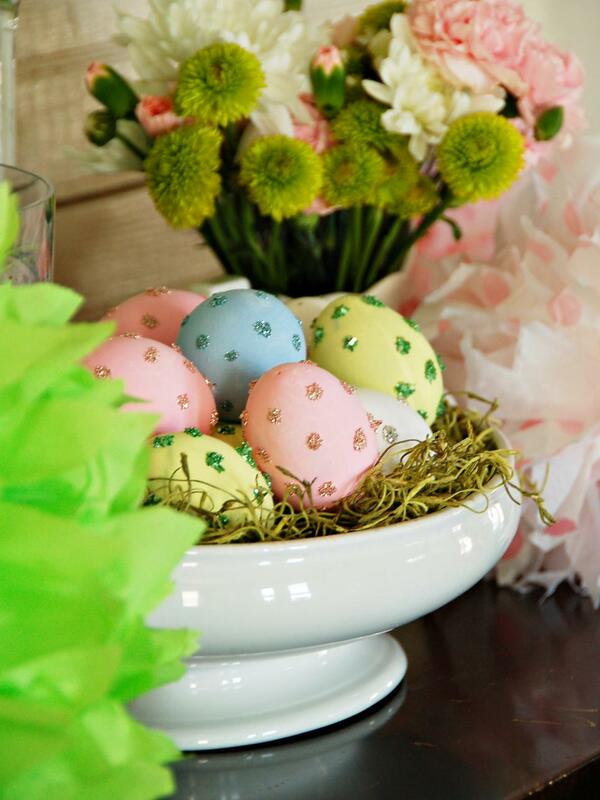 Fill the eggs with chocolates to make each place card a sweet party favor. 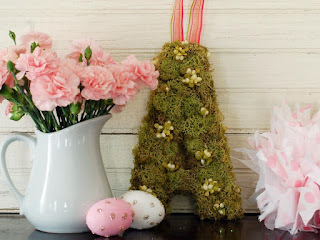 Moss Monogram ~ Add a personal touch to your spring decor with this easy-to-craft initial — just glue moss and artificial buds to a chipboard or wooden letter. 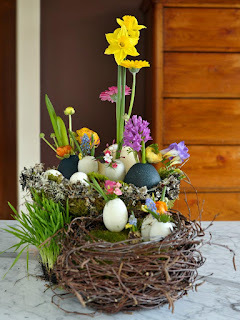 Group Egg Vases Together ~ To make the ultimate centerpiece, group egg vases together in faux nests or an Easter basket. 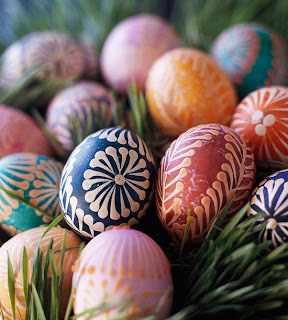 Dye some of the eggs to add more color to the table. Add a Little Drama ~ Tall manzanita branches hung with paper butterflies create an architectural centerpiece for this sun-washed spring table setting. 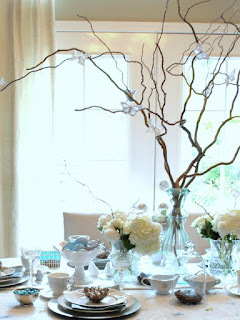 Vintage plates, pale blue dyed eggs and fluffy white hydrangeas work together to create an icy, eye-catching color palette. 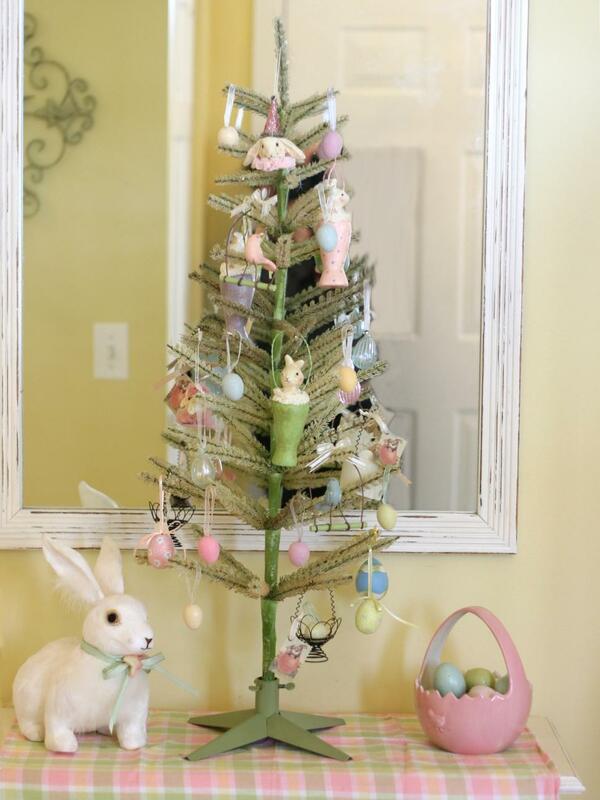 Trim the (Easter) Tree ~ An Easter tree is a favorite tradition for many families. This one is placed in a small foyer surrounded by pastel colors and traditional Easter touches. Bring the Indoors Out ~ Why stay cooped up inside when dining outdoors in the spring is such a treat? 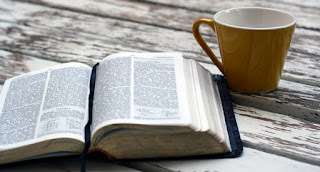 Weather permitting, carry the dining table outside and enjoy your Easter dinner in the sunshine surrounded by trees, bushes and flowers just breaking into bloom.